Barclay Leib, CFE, CAIA joined Hetherington Group in 2019 as an enhanced due diligence investigator and brings over 34 years of experience trading in the global capital markets. 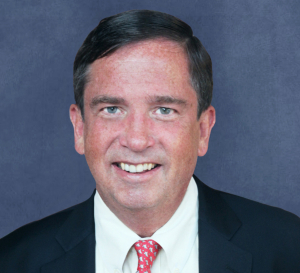 He is principal and founder of Sand Spring Advisors LLC, a financial advisory firm specializing in forensic hedge fund due diligence research, peer group analysis, OCIO alternative asset portfolio building services, expert witness consulting to law firms, and technical advisory work on individual investment portfolios. Since founding Spring Advisors LLC in 1999, he has served as an outsourced alternative asset advisor to several family office and multi-family office groups, while also providing expert analysis of complex financial situations to the legal community. A 1981 Wilson Scholar graduate of Princeton University’s Woodrow Wilson School of International and Public Affairs, Mr. Leib conducted research into the regulatory aspects of the 1980 Hunt Silver Crisis, which was subsequently used as Expert Analysis by U.S. Congressional and Senate Sub-Committees. Mr. Leib previously served as the Head of Alternative Research at Fortigent LLC (2013-2014), as Head Trader & Risk Manager for Glenrock Asset Management LLC (2007-2012), and ran fund of funds portfolios for family office and endowment and foundation clients (1999-2007). Mr. Leib’s early career spanned senior derivatives trading positions at firms including JP Morgan and Goldman Sachs, which has enhanced the depth of his due diligence expertise today. He has contributed to several books, including Planning for the Affluent (2002) and Technical Analysis and Behavioral Finance in Fund Management (2009), and is the co-author of the CFA Level III chapter text on hedge funds to be released in 2019. Mr. Leib has also contributed investigative articles to financial publications including Institutional Investor, Plan Sponsor, Financial Executive, Treasury & Risk Management, and Derivatives Strategy. A former full-time market analyst and financial writer for the Princeton Economic Institute, Mr. Leib holds his Certified Fraud Examiner (CFE) and Chartered Alternative Investment Analyst (CAIA) credentials, as well as a FINRA Series 65 license under Sand Spring Advisors LLC.